Lazies, Every time I burn my finger at the iron, I would think to myself how nice it would be if my finger was a Marvel Comics superhero with heat resistant powers. That would be nice, but I suspect the cape would get in the way. For all the different pressing surfaces and irons available, no one had invented heat resistant tools to use in place of our hands at the iron until now. My Clover Press Perfect line has two, the Iron Finger and our Hold-It Precision Stiletto. More about the Stiletto soon. Read on for details about the Iron Finger, a video demo and giveaway sponsored by Clover Needlecraft! We say that necessity is the mother of invention. That is certainly true in this case. I sometimes find that I try to negotiate with the iron and ironing board when faced with different pressing challenges. I try to hold on to a little detail and pull my hand away at the last minute. It’s a game of chicken with the iron and my finger usually loses. These are my experiences at the ironing board that led me to propose the Iron Finger to Clover. It is so handy, it’s now a basic for me at the ironing board. For the Iron Finger, I married my small kitchen spatula to a broom handle, and made it out of heat-resistant silicone. It has a sturdy handle and a flexible spatula end. It’s designed so the whole thing can be used with the iron. – The tool is nice and long to keep your hands away from the hot iron. – Made of heat-resistant silicone. 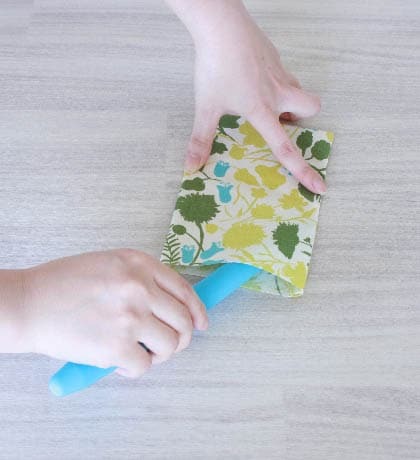 – Flexible spatula to finger press without the iron, hold things at the iron. 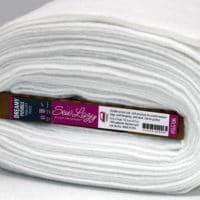 – Corner for turning medium/large sized corners or working with loose weave fabrics. – Rounded corner to push out along seams. – Handle for pressing seams open. I recently worked on a pair of jeans for my sister. The Iron Finger gave me a pressing surface on the challenging rounded seams of the backside. Pressing surface for challenging seams and areas. offer a pressing surface where before we had none. Use the spatula end to push out along seam. Finger press a seam open. 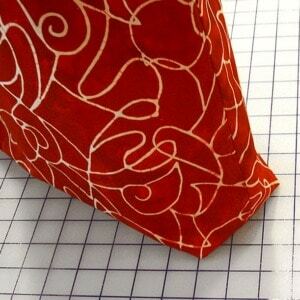 Use the handle as a seam roll, to isolate a seam or work in a small area. 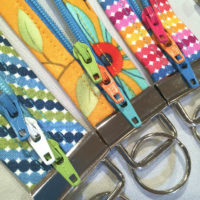 One winner will be selected to receive one Iron Finger item 7802 from Clover Needlecraft. – Giveaway ends Saturday January 31, 2015. Thanks for joining in on the fun of the Iron Finger! Have you tried the Iron Finger? Get yours here. 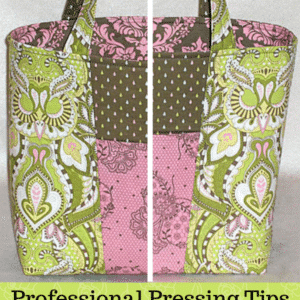 Order through your local quilt shop, online for any of the Press Perfect items. I’m always tired of burning my fingers and would love to try this! This looks like a fantastic tool!!! I sew small items and have to continually be careful not to burn my fingers when handling them. Oh, my gosh! I wish I have invented this! I would LOVE to have this tool and would defintely put it to good use.! Cool tool, I mean really cool! This would be useful in so many ways, especially since I have a tendency to burn myself! This looks like one of those “have to have” tools. Thanks for the give away! I am thinking this might help me preparing applique. I would LOVE to try it. I need one of these. Would love to win it! I am very tired of burning my finger! Your iron finger looks wonderful! Thanks! This sounds like a real handy tool. I have had enough burns! How great it would be to burn no more fingers. Awesome notion. WOW…this is the tool we have been waiting for. Wonderful. I’m a tool person and would love this one. I also teach classes and recommend tools that would be helpful The uses are endless! This would be an extremely handy tool to have at my ironing board! If you only knew how many times I have burned my fingers, be it with the iron itself or with steam. And I’ve been sewing over 50 years. 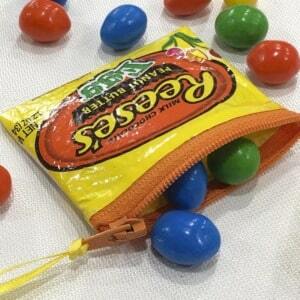 Would love to add this sewing accessory to my supplies. Oh, what a neat “gadget”….and I LOVE gadgets!!! Thanks for a chance to win! What and awesome idea! I think anyone that has ironed any type of project will love this tool. And all the other things it can do. Alton Brown would be very pleased. I hate steam burns! This looks like a a great solution to many ironing problems! Thanks for the chance to win! The burnt finger syndrome is no fun. It seems that I never remember that my finger is not immune to the hot steam – ouch… This new “Iron Finger” seems like a dream. 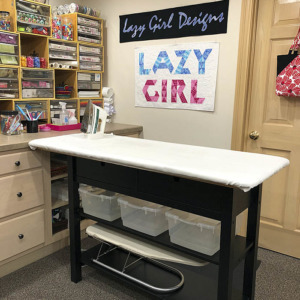 Would love to add this to my sewing room. I am so tired of burned fingers that I might order several of these silicone marvels just to have one available at all times…..and maybe, just maybe give one to a friend. I have so many notions, bits and bobs that I rarely purchase anything new – yet this looks like something I would use on a frequent, if not daily basis! The iron finger looks wonderful! I am very tired of burning my fingers. WHAT!?! No more burned fingers!!! Genius I tell ya! I would SEW love to win this multi-use tool!!! Love this idea!! So many ways to use one single notion!! I no longer have fingerprints because of the burns. Looks like a wonderful tool. Would like to say good-bye to burnt fingers. Sew tired of burned fingers! With the iron finger I will be ironing and sewing in “Clover”. What a great idea! Wish I had thought of it. Have numb finger tips from chemo and this looks like the perfect tool. Can’t wait to use this to “turn my hearts”. I am stitching interfacing to back of fabric cut into heart shapes. After hearts are turned right side out I applique to quilt square. I will be using the new tool Iron Finger to help me round out the heart top and not poke a hole in interfacing. Love Joan and all her ideas. Thanks for sharing your talents. This looks great, really takes the place of several notions. Hope I am the winner. Burnt fingers — just thought that was a part of the sewing/pressing process. Look forward to using this tool and keeping my fingers safe! I’ve tried many things to help my poor fingers. I think this is the one! What a great tool. Looks especially good for all the purses I make. this is a perfect tool for doll clothes making.. I”m in the midst of princess costumes for AG doll. I burned my pinky yesterday while appliquéing as a matter of fact! I would really love one of these little babies. Perfect solution! And that slipcover on the iron, I need to check that out, too! Thanks. Sounds just what we all need, need to find it at a store near here as the postage rates are prohibitive. Very tired of burnt or slightly burned fingers! Have tried other methods of finger protection, but was not pleased with the pressed results. I would really like the Clover Iron Finger! Thanks!! My fingers are calling out for this fantastic tool! So tired of burnt fingers and this is the answer! This looks really interesting. We’re all tired of burnt fingers. I’ll look for this in the store. Soooo tired of burning my fingers! This looks like a perfect tool. I’d love to be able to find it available around where I live. I have searched for it. That tool is definitely something that I would use. Seems like my fingers are always in the way, no matter what project I am working on. I’ve just become introduced to a new way to prepare hand applique which involves very close work with the iron. Of course as a rookie, I burned my finger a lot. I should have had this at the workshop! Thanks for inventing this. Its nice to have something too save burnt fingers ,and still have more than 0ne use. Would love to have an Iron Finger cannot find stockist in my part of UK. What a wonderful tool! I especially like the seam roll feature as well as protecting the skin on my fingers. Thanks for a chance to win one! That is a clever tool. You could use it to turn edges of applique after applying glue, too. This looks like a great tool. I am forever steaming my fingers. Just last week while finishing an outfit for our new grand daughter, the steam from the iron attacked my fingers! Not once, but over and over and over again! I know, I should have found something to use besides my fingers, but I kept thinking it wouldn’t happen again. I was wrong! This new product will save thousands of fingers! Thanks! 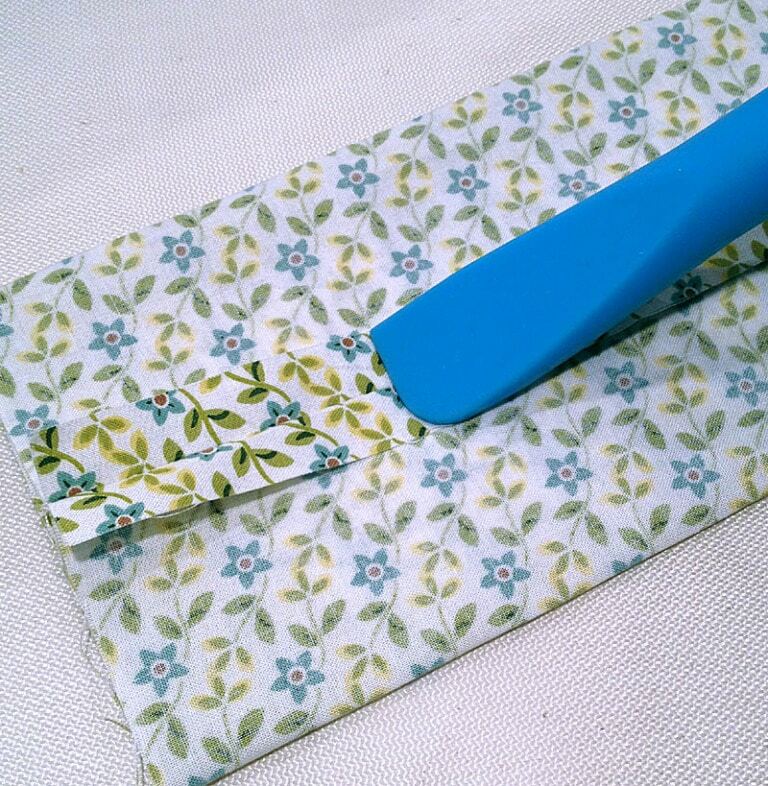 I make small craft items and this would be great for ironing those small seams. This looks like the perfect tool to have in my quilting room! Most of the time i got my finger burnt is from the steam of the iron when i am ironing small corners! I think the Iron Finger is a great idea. Perfect for preventing burned fingers which I tend to get. I would love to have one and will look for it when I’m out shopping. Just what I need, I am always burning my fingers !! I will have to check my LQS, for this genius tool, I may get two of them, one for sewing room, and one for me to take to my local quilt group. What a great idea! I have burnt my fingers more times than I can count. Have wanted one of these since the first time I saw it advertised. I iron a lot any way. This would be awesome for craft ironing as well as clothes. No matter how many shirts I iron, I always seem to get burnt doing collars and cuffs. I can’t stand to iron a crease where it should not be on a collar or cuff. Hoping to win or find one in a store close by. No matter how careful I am, I always seem to burn myself! I really need something like this. I keep trying to get tiny areas pressed but the iron wins. Ouch. I have plenty of burnt fingers also. Luckily my alovera plants are still producing but their loving gel only helps so much. This tool would make my fingers well and save my plants at the same time. My right index finger seems to always have a red, sore spot from where the iron “kisses’ me. The iron Finger sounds divine…And it works well for a leftie! (unlike some products) I’d give the Iron finger a good home, as I gave the iron ‘the finger’. 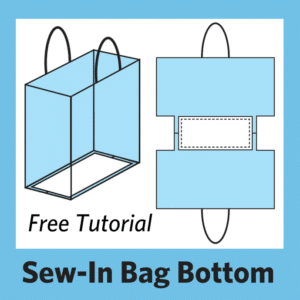 Id also use it at the sewing macine to keep fabric flat when turning narrow seams. Hope the silicon can take a hot steam iron ! I have a “finger sock” to keep my finger from burning, but the iron finger does so much more, like keeping my entire hand away from the heat. Brilliant idea, Joan! 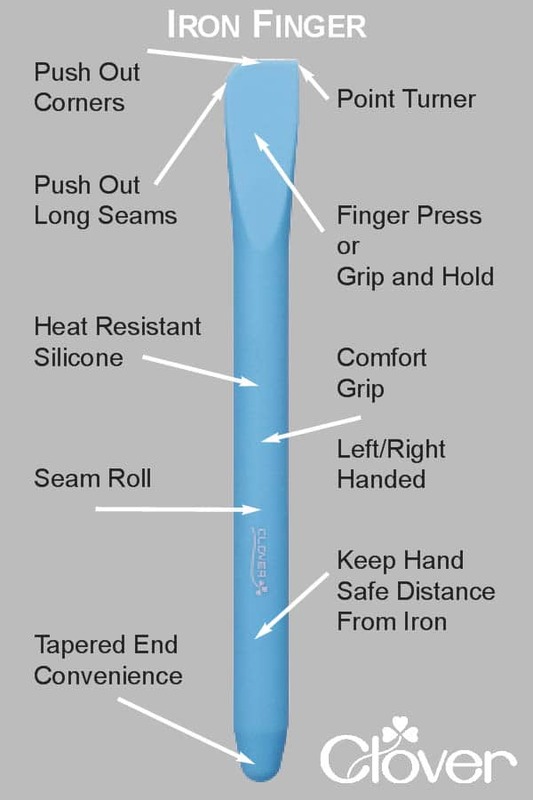 I could sure use this tool as I am also tired of the burnt finger! I have the Iron Stiletto and love it. 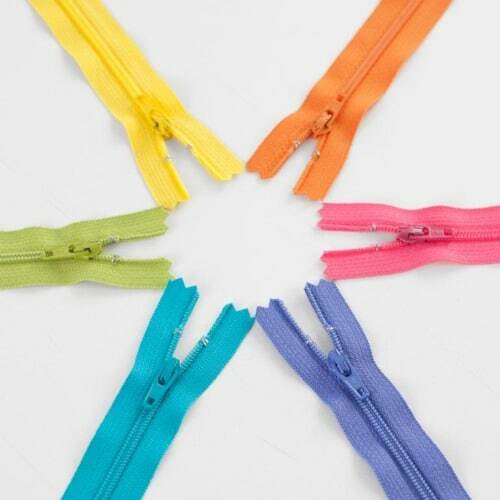 This will solve the problem of ironing those “hard to get ironed” little seams and of course, save your fingertips! Keep these new inventions coming!! Please!! I am very tired of burning my fingers. This looks great! I hate steaming and burning my fingers when pressing projects – this tool looks AMAZING – a must have for my sewing studio!! 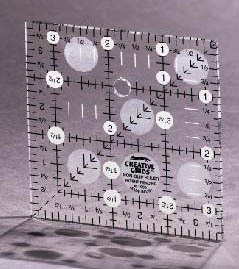 Another great tool to add to my sewing tool collection, I will definitely use it! You wouldn’t believe all the silly things I’ve used to try not to burn my fingers (and melt my nailpolish!) while ironing. None of them has ever been the right thing though. This looks perfect! This sounds like a real solution to the “game of chicken” that we’ve all done many times over, but still the “burnt fingers continue”! i seriously need one of those! Haven’t seen it in a LQS yet, but will grab it as soon as I do! I love it! Multi functional told are the best, and I’m the queen of not ironing properly! This could change my world-seriously! Oh yes, I’ve done the same thing many many times. This is a great looking tool, and so versatile. Even if I don’t win, I’m sure I’ll be purchasing one. I love all the things it can be used for. Wow, what a great idea! Oh wow, I really need this tool – I am forever burning my fingers when holding fiddly bits and pressing them. the fabric gets so hot so manipulating it to get into all those seams and bits is a hazardous exercise. I’m so tired of ‘almost’ burning myself and pressing things wrong as a result that it puts me off sewing! 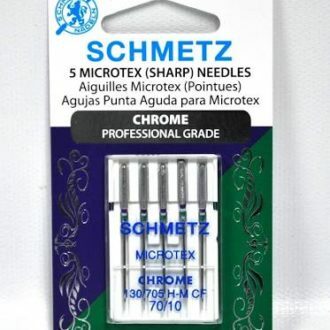 looks like a must-have in the sewing tool drawer, and i love the idea that it is heat proof with the iron as i work with alot of fusibles in my quilting! Thanks for the demo and the offer. Would love it! Always steaming my finger tips while doing small piecework. I cant wait to be able to use this tool!! 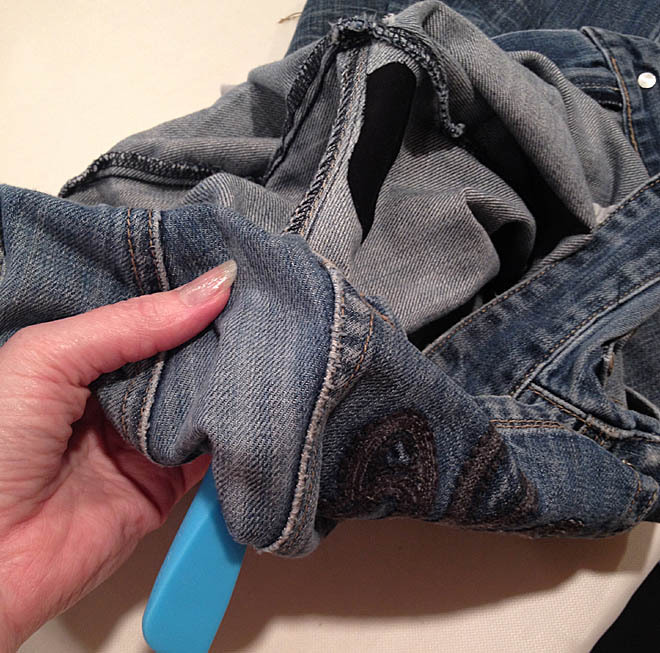 I would love this gadget to use for those small things that I burn my fingers on when I iron and push… Love this!! This sounds like a perfect tool! Congratulations on another wonderful way to help us with our sewing. 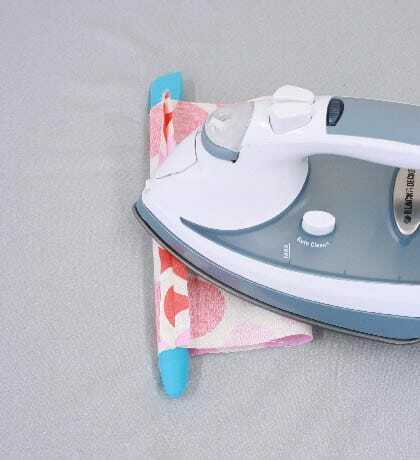 This looks like a much better way to iron those crazy pieces.. I hope they will be avail in our local shops here in southern Calif. I just watched the video. Wow! very smart idean. Looking forward to seeing in our local quilt shops. I will definitely mention it to the owner. Would love one of these… Just burnt my fingers pressing a block a few minutes ago… I really need one! Looks SO useful and versatile. What an awesome tool!! Last week at our local Quilt Group, I was pressing fabric seams for a purse I was making, kept burning my finger from the hot iron, then one lady told me about a finger glove to wear so I wouldn’t get burned, Your tool covers a lot of areas that I have had to deal with lately. It”s a all in one tool bag. Gotta love it. It’s just what I really need. Thank Joan for the chance to win this heavenly tool.